Mitel is the world leading business communications company. For 45 years, they have improved how organisations work by simplifying the way they talk, share and meet. As the only vendor placed in all five Gartner Magic Quadrants for business communications, Mitel takes an organisation’s communications from where they are to where they need to be, and has more than 70 million users in 100 countries. ITEC is a Mitel Strategic Partner, providing both managed print services and Mitel devices to schools, law firms and businesses. 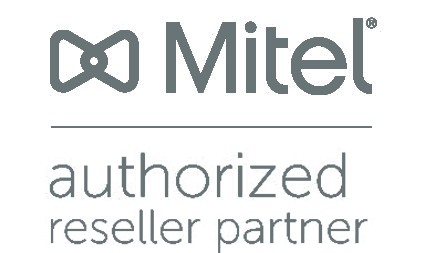 As a Mitel Strategic Partner, ITEC can offer access to new products at competitive prices and an engineering staff who are highly trained on all Mitel systems including their cloud software. With a long history in the industry, ITEC have demonstrated in-depth knowledge and understanding of the market. Their proactive and consultative approach has helped them to differentiate themselves in a very competitive market. Mitel has no hesitation in advocating their ability to support our current and future business solutions." For many, the phone is the first port of call when they’re ill. ITEC and Mitel have helped public and private surgeries across the South West upgrade their old business communication systems, reducing burden on staff and guaranteeing patients meet the right people quickly. Mitel is the only vendor placed in all five Gartner Magic Quadrants for Business Communications. Their unique desk phones bring cutting edge communication to organisations and the transformative MiVoice Office 250 and MiVoice Business brings seamless integration of voice, email and conferencing to your mobile. On entering a Managed Print partnership with ITEC, you get a fleet of highly trained engineers at your disposal. ITEC is one of the only Managed Service Providers with a local help desk to fix problems on first instance. Your priority is our priority and our services are tailored to maximise your ability. Not one solution fits all. After listening to you, ITEC installs the best Business Communications infrastructure for your organisation. Offering on-premise and cloud systems, we guarantee your happiness by setting up your system correctly, and if brand new on-premise infrastructure is needed, we will install it for you.